SDL Trophy is a part of SDL Group Ltd which was founded in 1977. The Group has established economic partnerships with manufacturing companies in China and through joint investment in design and tooling are able to offer sports awards, medals, trophies and other celebration products to distributors around the world direct from its China factory. 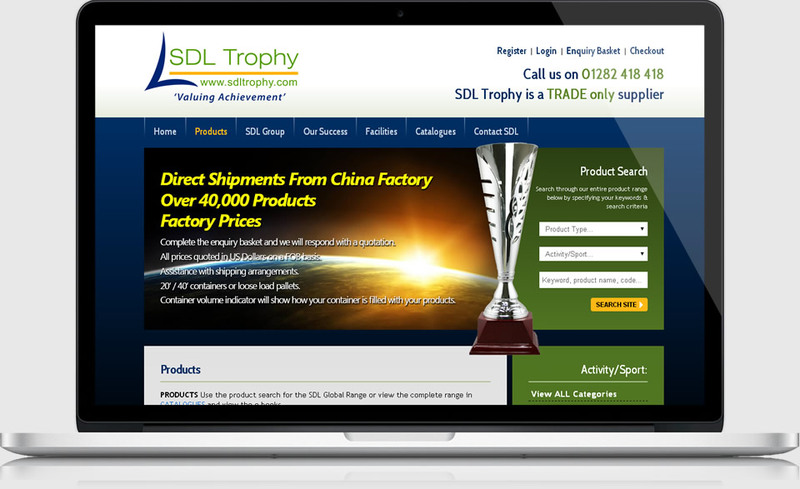 An ecommerce and KreatureCMS based site for a local trophy wholesaler, SDL Group LTD. The site is similar to a normal retail ecommerce site, but allows overseas customers to build up a shipping container/quote of items which is then sent through to head office to be priced up accordingly.